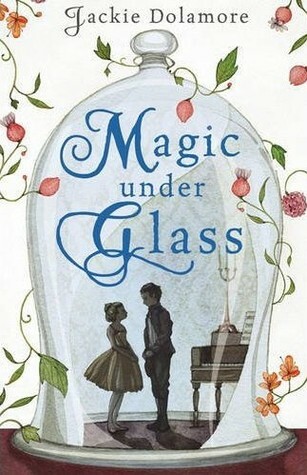 My editor was kind enough to send me an early copy of MAGIC UNDER GLASS by Jaclyn Dolamore, and I finished this book so recently, I can still hear the ticking of the clockwork automaton in my brain. It’s a story that will stay with me for a long time, set in a world that was pure delight to visit. I can’t wait to buy a few more for my classroom. I already have a mental list of students who are going to love it. The world created in MAGIC UNDER GLASS is one firmly grounded in social classes and politics, yet it still swirls with spirits and fairies that are completely believable. The main character, Nimira, is a dance-hall girl who finds herself taken into the home of a wealthy sorcerer, where she’s commanded to sing with a clockwork automaton who plays the piano. It turns out, though, there’s more to him than cogs and gears, and that "something more" captures Nimira’s heart and mires her in a seemingly impossible plot to save him. I love the strength of the girl characters in this book, not only the charming, clever Nimira, but also the supporting characters, right down to the maid who pulled out a move that had me cheering near the end of the book. While the book is officially being labeled as YA fantasy, it’s also perfectly appropriate for younger advanced readers who appreciate fantasy and romance. 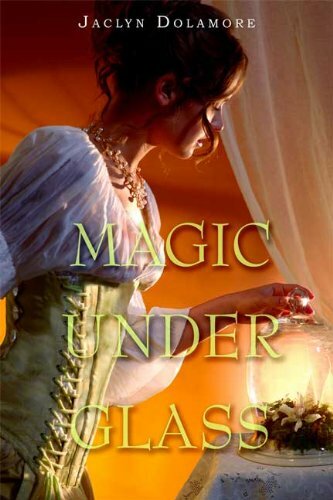 MAGIC UNDER GLASS a beautifully written story that somehow has the feeling of being completely fresh and a classic all at once. Highly recommended…especially if you need a last-minute gift for a tween or teen girl. MAGIC UNDER GLASS comes out this Tuesday, December 22. Note: This is the UK cover, which I think I might like even better than the US cover above. They’re both gorgeous, though, befitting a beautifully written book. This entry was posted in Uncategorized and tagged jackie dolamore, magic under glass. Bookmark the permalink. Both comments and trackbacks are currently closed. I don’t have a list of those names, as this is not my book, even though I loved reading it. She should probably check the book, which will have all the names (and spelled correctly, too).